On May 28th., 03, me and my long time riding partner Don, hit the road, we made it back home on June 20th., 03. We traveled from our homes in Washington State across Idaho, Montana, North Dakota into Nothern Minnesota where we visited family and friends. We then made our way back to Washington via South Dakota, Wyoming, Montana, and Idaho. We covered over 4,500 miles traveling on paved back roads and dirt or gravel Forest Service Roads. 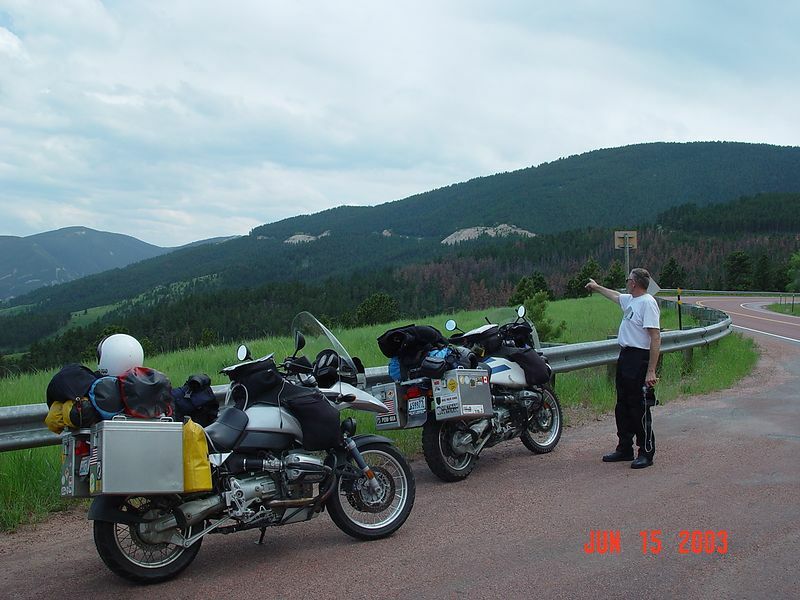 We also traveled through the Devils Tower area, rode over Bear Tooth Pass and rode over the Hwy. to the Sun in Glacier National Park. We had a great Time, life is good.